Back to basics tip #24: Whenever my children do something cute or say something worth remembering I try to record it or write it down. I used to have little sheets of paper all over the place (in my purse, on the counter, wherever) with these memories written down so I can record it in journal, scrapbook or on a family blog. Then I would lose the paper where I jot down this information and then forever forgotten. Now, thanks to my iPhone, I use a voice recording app to record myself a quick note of these memories. Then I go back listening to the recording to remember what I wanted to write down. I also use this app to record my children singing songs or saying hello to their grandparents then forward the recording to them in an email. » Tell me… How do you remember to jot down memories to record them later? I keep a word document with all the funny things that my kids say, each year. It always makes me laugh when I go back and look through the year and the stuff they said. 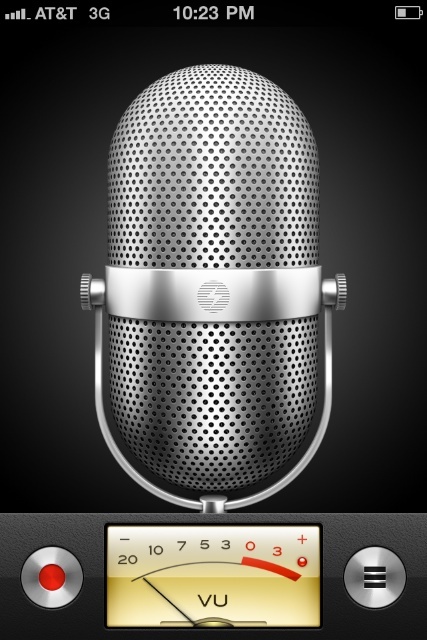 I had never thought about using the voice recorder on the iphone – that’s a good idea. For me, I keep repeating it to myself in my head to make sure that I write it down. Then, the next time I’m at my computer I will make the entry. Like today, when my three year old daughter told me that my big, fat head was in the way of her being able to see the tv. Now that was special! I’ve used it ever since DD was born. First coos. Now first words. Laughs. Me singing to her. It’s so awesome!